This is SO exciting! My friend Kima of Kima's Konfections is competing in Food Network's Christmas Cookie Challenge. I had no idea she was doing this until she announced it in November. She had to keep things all hush-hush. I don't know how she did it. I would be bursting at the seams wanting to tell someone. I was so excited for her that as soon as I found out I invited my friends to a viewing party. As I type this on Sunday night the episode my friend is in hasn't aired yet. It airs on Monday, when this post goes live in the morning. So if you're reading this now, be sure to come back after Monday to get the update. 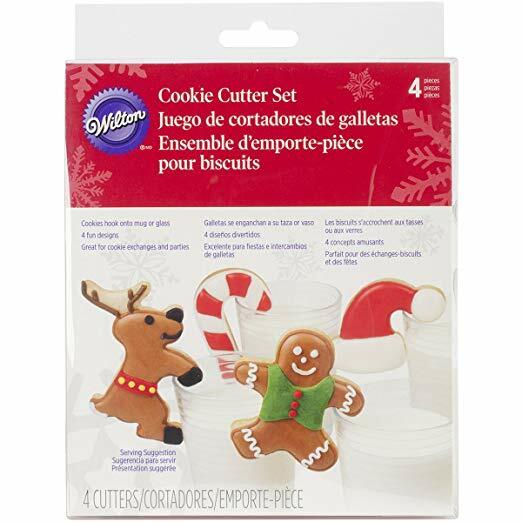 In preparation for the viewing party I got out my Wilton Cookie Cutter set, seen below and available on Amazon. I looked up a sugar cookie recipe and decided on Semisweet Mike's. The almond scent filled the air as the cookies baked and made the kitchen smell so good. I of course had to try one once they were done baking to make sure they baked ok. I haven't baked sugar cookies since we got our new oven. The almond comes through lightly in the baked cookies and tastes delicious even without frosting. I also used Semisweet Mike's royal icing recipe. It turned out just like the pictures on his site. (As an Amazon Associate we earn from qualifying purchases). My plan for these cookies was to pipe an outline and then flood the cookies. After outlining all the cookies I decided not to flood them. Cookies are not something that I make. I'm a cupcake baker so I didn't want to throw too many techniques at myself at once. Shoot, it took me longer then expected just to pipe the cookies the way I did. I decided I would just pipe the frosting on and smooth it out with a toothpick. Oh my goodness, I have mad respect for cookie artists. Piping cookies is not as easy as I thought it would be. You can see I smudged Santa's hat there. 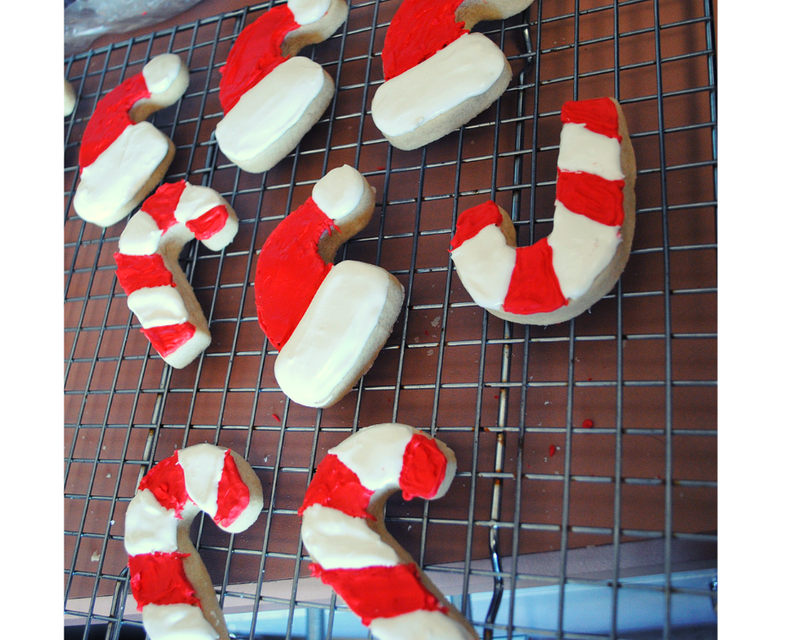 I did the candy canes first and you can tell because the icing isn't as smooth. 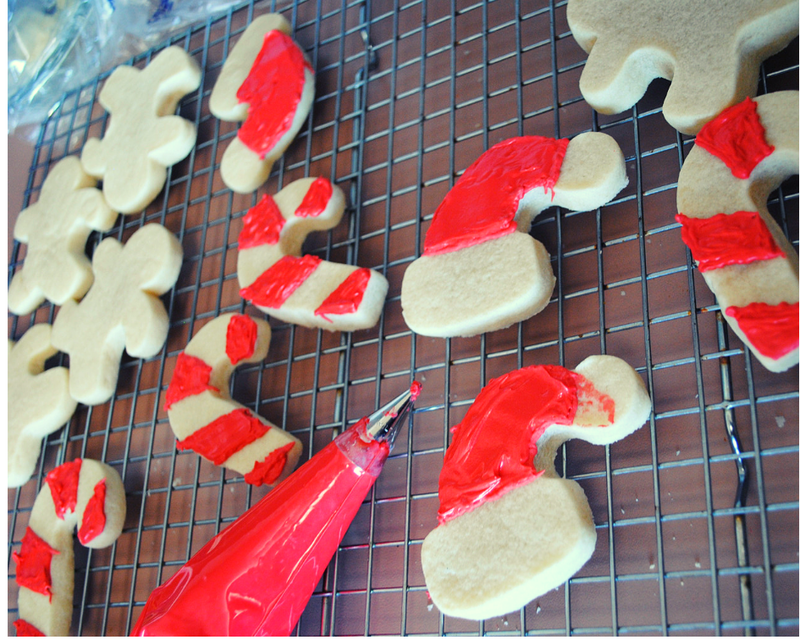 The candy canes were my learning cookies for sure. The Santa hat's turned out so much better. My smoothing with the toothpick technique definitely improved. Next time I want to try flooding. 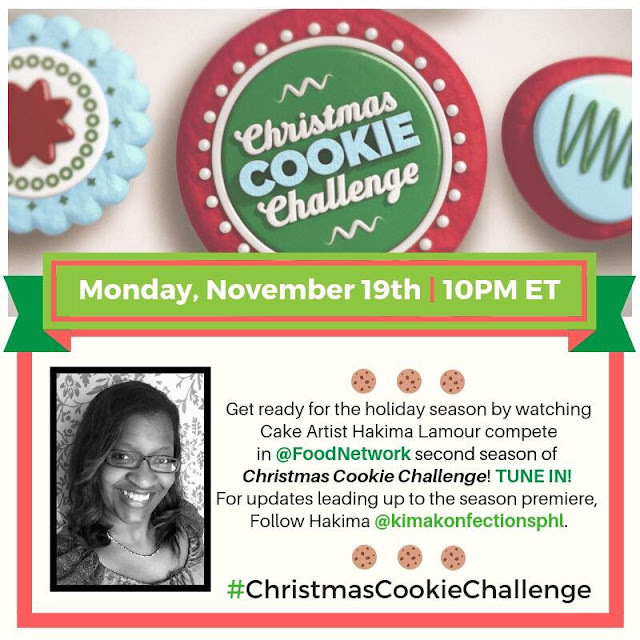 Be sure to come back to see if Kima's Konfections won and more viewing party pics. I'll be updating this post the day after the episode airs.